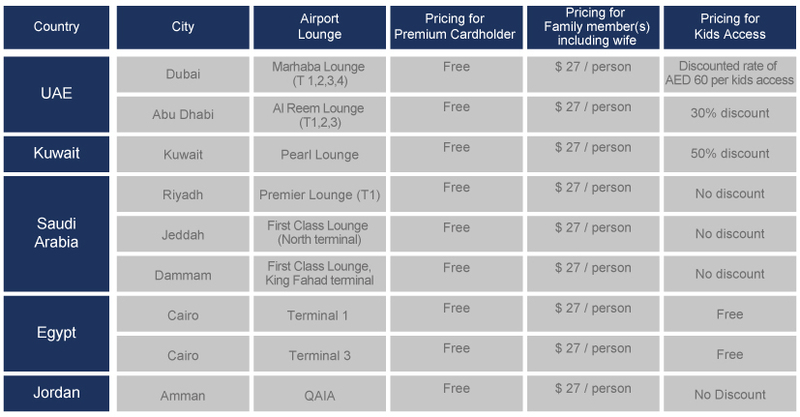 Holders of LGB Premium MasterCard: Titanium, Platinum and World Cards can benefit from unlimited free entrance to the provided list of VIP airport lounges around the Middle East, only by showing the credit card. LGB Black cardholders can now make most of their time when traveling abroad by using their respective card and benefit from an unlimited FREE access to more than 500 airport lounges in more than 300 cities worldwide via LoungeKey. No previous registration is needed. For any accompanying guests US$27 per person per visit will be charged directly to your payment card. The first accompanying guest is admitted for free; taking up from your own free visits entitlements. For any extra accompanying guests US$27 per person per visit will be charged directly to your payment card.